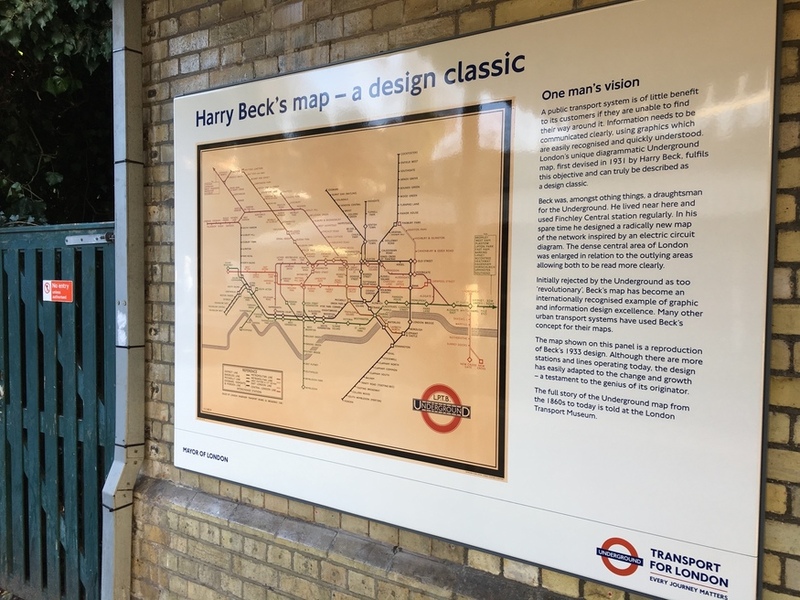 Seen The Harry Beck Tube Map In Finchley Central? Harry Rosehill Seen The Harry Beck Tube Map In Finchley Central? Finchley Central's southbound platform is adorned with a piece of history that Londoners take for granted daily. It's a plaque displaying an original 1933 tube map by its designer Harry Beck. Before this design, Underground maps showed geographic distances between stations, making it incredibly clustered and messy in the centre and lacking structure on the spacious fringes. 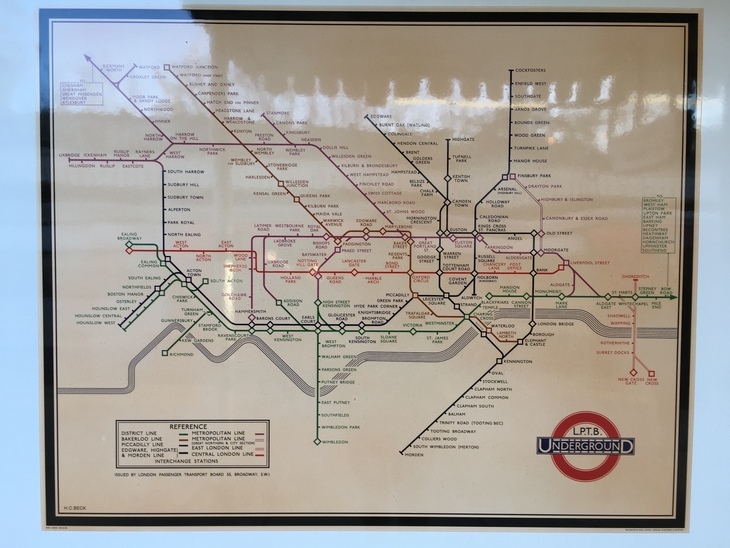 Beck was an electrical draughtsman for London Transport and decided to create a superior map in his spare time. He based his design off the same principles he used when mapping electrical circuits... but London Transport weren't initially keen on this process, deeming it too 'revolutionary'. Eventually Beck's design was accepted. And not only for London's map — it became the inspiration for metro maps around the world. The plaque is at Finchley Central because that was Beck's local station. Looking at the 1933 map today is a fascinating window into the London Underground's nascent years. Especially interesting is the inclusion of the Metropolitan line (Great Northern & City Section). Today it's the Northern City Line and has the rare distinction of formerly being part of the London Underground, but now part of National Rail. Another interesting thing to note on Beck's original map is the lack of Finchley Central. The Northern line's High Barnet branch at that stage only stretched as far as Highgate, although this is confusingly today's Archway station, not Highgate station. 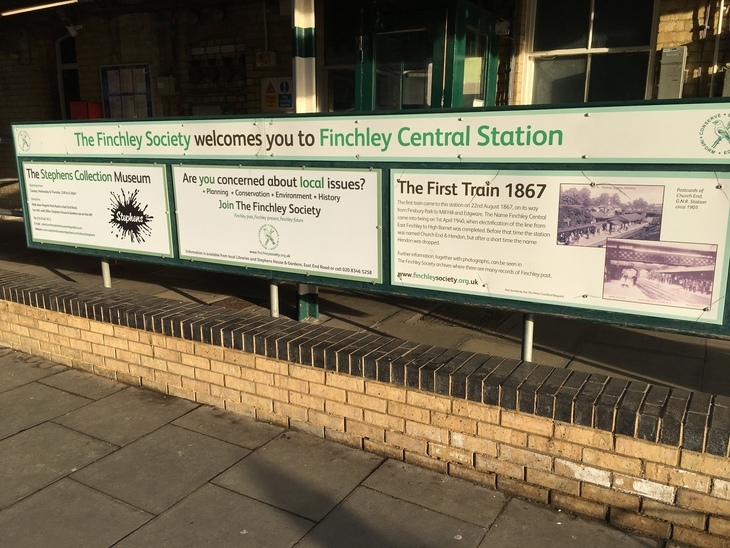 There was still a station at Finchley Central, as another plaque further down the platform explains. It just wasn't part of the Northern line. Instead, it served a line running from Finsbury Park to Edgware. And at the time is wasn't called Finchley Central, but Church End & Hendon.